Audi is one of people’s most trusted brands when it comes to cars. They have managed to merge great car performance with stylish car designs. You can take your Audi from one place to another provided that your car keys work. We can give the key replacement soon. Just give us a call. You need to call Bobcat Locksmith the moment that you realize that you cannot find your lost Audi key. We offer a fast response time. You can just give us a call and we will do our best to reach you within minutes. Our car locksmiths will get to your location no matter where you are. You can be at home, in the office or parked somewhere. If you need key replacement, you can surely count on us. We have the right knowledge to deliver the type of keys you want to get from us. We will do all the things that are necessary to get your car keys working again soon. We make sure that having a lost Audi key will not be too much of a problem for you. There was a time when locksmiths just have to create a new car key that looks like the one that was lost and broken. key replacement now requires the latest technology in order to work. 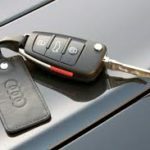 Some locksmiths may struggle a bit to still remain useful in offering key replacement service and Audi key programming. We can assure you that Bobcat Locksmith is composed of a professional team of locksmiths. We make sure that we will provide the service that you need at the soonest possible time. We can assure you that we offer key replacement the moment that you need it. We can also provide you with a spare if in case you need it soon. The Audi key programming may require more time but will still work well in providing your needs. You can give us a call, provide us with all of the necessary details that we need. It will help us create the right keys for your needs at the soonest possible time. Calling A Dealer – Is it Necessary? There are some people who would like to call a dealer to provide their needs. There is nothing wrong with this but the main issue is going to be money. If you are trying to save a lot of money, you may want to contact an auto locksmith instead of a dealer. You can give us a call for your car needs. Contact us for Audi key programming. You do not have to wait to realize that your lost Audi key is nowhere to be found before you give us a call. We make an effort to provide the best that we can especially in Audi key programming. 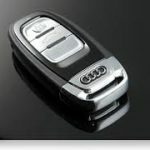 You can contact a dealer just to ask how much the cost would be if your lost Audi key has fallen somewhere. A lot of dealers will charge a lot of money for simple services. You also have to wait a bit before you get your new car keys. You may also opt to go to car garages just to see if they can help you with your problem. They may offer temporary car solutions but there is no guarantee that the solution they offer will still work in the long run. Why are you going to waste your time calling a dealer when you can get the services that you need from us? Our professional locksmiths can assure you that the cost of our services are much cheaper than the other key services that are available. Our team can provide your key replacement while you wait. The locksmith company will make an effort that you receive your key as soon as we can provide them and this may not necessarily have to last an hour. There are a lot of locksmiths that are available but we can assure you that we offer the best services in the area. Aside from our key replacement services, we also offer Audi key programming, and lost Audi key services. You can also ask us if there are some services that you need for your Audi that is not mentioned above. We can assure you of our fast response time in providing the necessary key replacement. We want you to have the ability to use your vehicle again at the soonest possible time. Our team of professional locksmiths have a lot of experience dealing with lost Audi key services and providing key replacement services for the different Audi models. 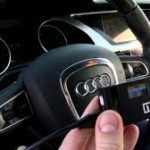 Audi key programming does not have to take long especially since we are always equipped with the right equipment. We make sure our locksmiths are well-informed about the latest technologies related to Audi and all the different car brands available. You can get the key replacement for your lost Audi key while you wait. Give us a call whether it is an emergency or you just need our services. Our customer service representative will answer all of your inquiries and will gather all the necessary details. This way, we can be fully equipped with the items that will provide the Audi key programming service that you require. We also make keys for the following Acura key replacement, Buick key replacement, Cadillac key replacement, Chevrolet key replacement, Chrysler key replacement, Dodge key replacement, Ford key replacement, GMC key replacement, Honda key replacement, Hummer key replacement, Hyundai key replacement, Infiniti key replacement, Isuzu key replacement, Jeep key replacement, Kia key replacement, Lexus key replacement, Lincoln key replacement, Mazda key replacement, Mercedes key replacement, Mini Cooper key replacement, Smart fortwo key replacement, Mercury key replacement, Mitsubishi key replacement, Nissan key replacement, Pontiac key replacement, Saab key replacement, Saturn key replacement, Subaru key replacement, Suzuki key replacement, Toyota key replacement.